to the chin and neck. Whether you equip yourself with a traditional razor or an electric razor, you will have great difficulty trying to get the hairs on the neck area. Thankfully, switching to an electric shaver will make the process substantially easier, but it will still be somewhat of a hassle. Nonetheless, it will still require a little experimentation and trial and error to master. With a little bit of practice and lots of patience, you will eventually be able to master shaving the neck area. Once you have, you will be able to shave comfortably, while still achieving the closeness that is desired. To help make the process as simple as possible, you will want to read through this entire guide. Below, you will find tips and tricks that can help improve your shaving experience. Unfortunately, there are various problems that make the neck so problematic. This portion of the face tends to be very sensitive and it is also oddly shaped. This combination and the reasons below work together to make shaving the neck a major undertaking. The neck is incredibly sensitive. Since this portion of the body is so sensitive, it will hurt much worse than other areas. If you suffer from irritation or razor burn on the neck, the pain will be very intense. The hairs on the neck can extend out in many directions. This can make it very difficult to figure out precisely how to go against the grain when shaving the neck area. The neck will feature many odd shapes and contours. These will increase the difficulty of shaving this area. 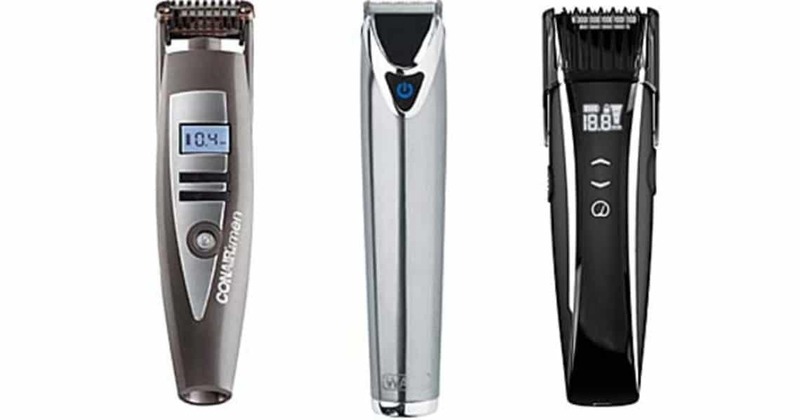 When using an electric razor on the neck, it is very common for stubborn hairs to be left behind. The collars on your shirts can actually rub the neck raw. This can be enormously painful after a thorough shaving. 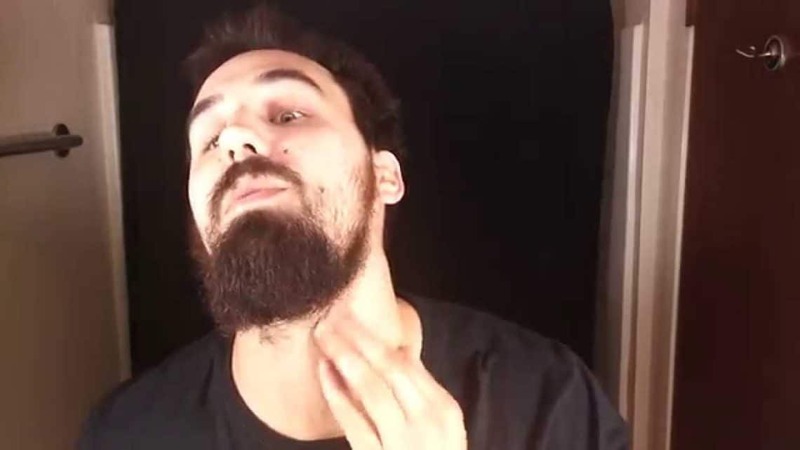 When it comes down to it, shaving the neck with an electric razor is not impossible. Nonetheless, you will need to be patient and very careful. If you make a mistake with the basics, you’re going to have a lot of trouble on your hands and you may be forced to suffer through a lot of pain. First and foremost, you need to remember to get the right shaver. In general, those with sensitive skin should opt for a foil razor. If you have thick, coarse hair, go with a rotary razor. Finally, you will need to practice and experiment, until you’ve got the pre-shave formula down pat. 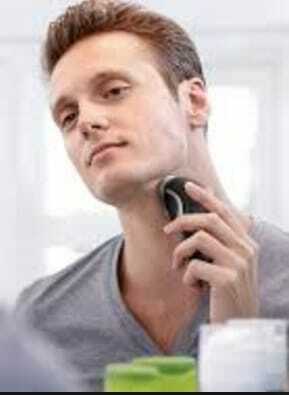 Below, you will find tips for shaving your neck comfortably and completely, while using an electric shaver. First and foremost, you should remember to start with the most problematic areas first. This means that you should begin with the neck and under the chin. These areas will require more patience and more precision. Near the end of your shaving session, you will begin feeling the urge to reach the finish line and this will increase the potential for mistakes. Start with the neck and work on it thoroughly before moving forward. Once the neck is done, you will be able to fly through the other areas without much thought. Also, the razor will begin to heat up as you utilize it for a longer duration. And as the razor gets hotter, it will become much more uncomfortable on the skin. To keep the discomfort and irritation to the minimum, you will want to target the neck first. Another thing to remember is that some pre-shave lotions are capable of preparing the neck for the shaving. The lotion can help to dull the skin on the neck area and this will decrease the amount of pain you feel during the shaving. If you intend to shave without a shaving cream, it is absolutely pertinent to use some type of pre-shave product. The pre-shave cream will be beneficial for various reasons. It will help to prepare the hair to be cut, while decreasing the sensitivity of the skin around the neck area. Plus, the lotion will act like a lubrication and help to reduce the potential for nicks, cuts, and irritations. If you want the maximum comfort, you will want to consider using a pre-shave lotion and a shaving cream. It is pertinent to remember that almost all razors will have a much more difficult time with longer hairs. 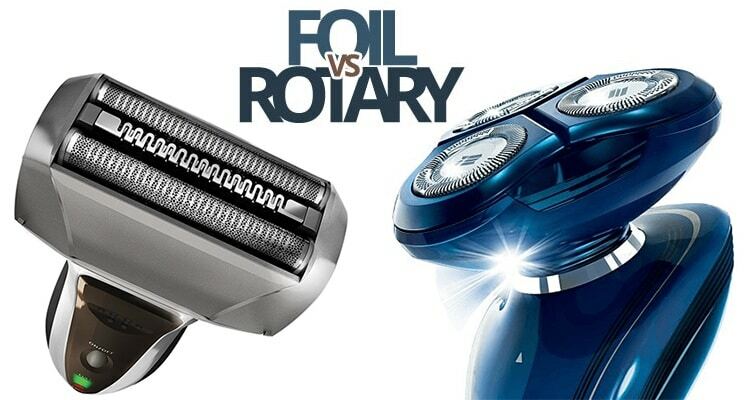 Even rotary razors will struggle, if the hair is very long. 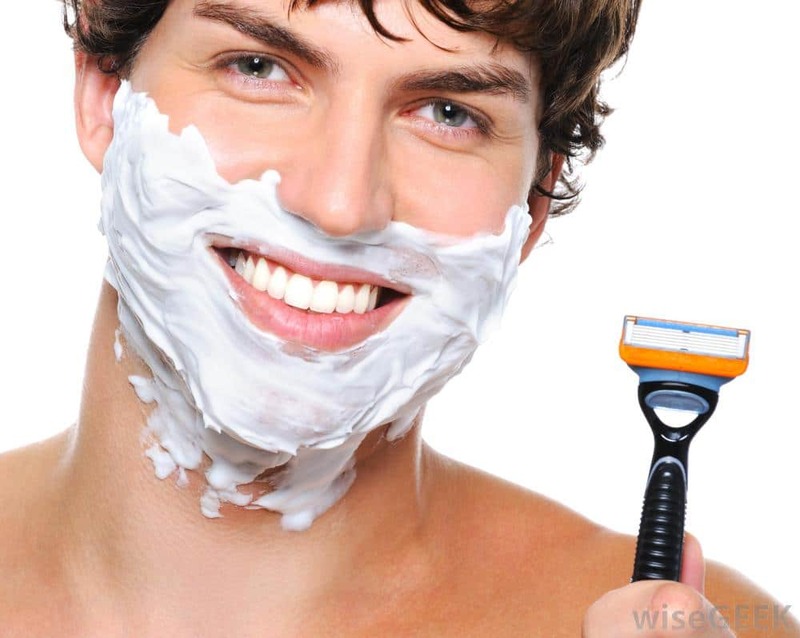 If you haven’t shaved in three or two days, you will be much more likely to feel pulling and tugging during your shave. It is also important to remember that the hair on the neck will always almost lay flat. Therefore, it will become much more problematic as it grows longer. With this in mind, it is pertinent to make sure you shave a little more frequently. However, if you have sensitive skin or suffer from irritation, you will want to give your skin a sufficient amount of time to heal. You should also consider using a beard trimmer, before switching over to a razor. 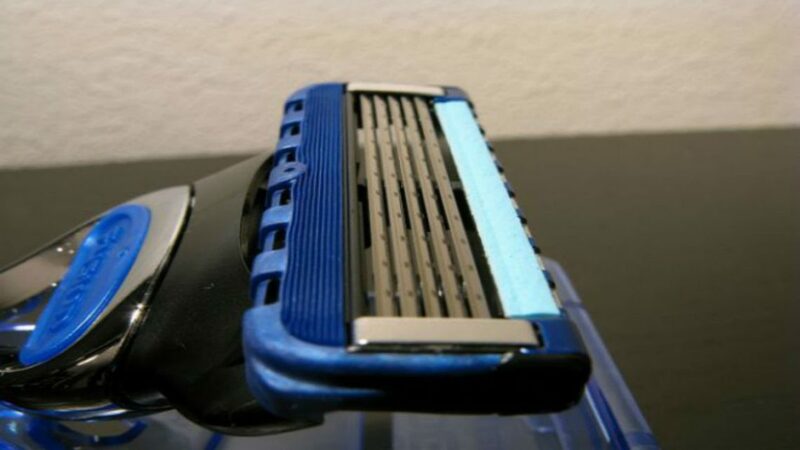 This will decrease the length of the hairs, while also decreasing the amount of discomfort you feel when shaving. At the same time, you should remember that the way you shave will be very impactful on the overall experience. It is pertinent to make sure you always go against the grain. Make sure you run your hand across your neck in advance. This will give you the ability to always go in the right direction. This is incredibly important, because the hair on your neck may grow in numerous directions. Since the neck has so many different contours, it is pertinent to always be aware of where you are. During the shave, you will need to pay close attention to the angle and length of each individualistic stroke. As you change to a different area, you will need to change your stroke. When you’re cutting area with lots of similar hairs, you should use longer strokes. When you begin to reach erratically grown hairs, it is pertinent to slow down and switch to smaller strokes. Also, make sure you become even more tedious when you reach the jawline area. This portion of the face is very sensitive and the counters are difficult to gauge. Work slowly here and use short strokes, you will always remain in complete control. Another thing to remember is that the amount of pressure you apply at any given time will be very important. In some areas, it will be pertinent to apply additional pressure. However, some areas will require less pressure. Therefore, you need to move around the face carefully and make sure you always apply the precise amount of pressure at any given time. Remain vigilant and always keep the pressure factor in mind. Eventually, you will need to move your head around, in order to make certain areas more accessible. Tilting your bead back will prove to be very helpful. This can help to extend the skin, while also making the hairs stand up. Tilting your head from side to side can also be beneficial depending on your current shaving location. Always try to position yourself in the right manner, so less pressure is put on the skin by the razor. Every veteran shaver will have a specific method of shaving that they prefer over the other options. The main reason for this is because they tested and experimented with various shaving techniques, creams, and after shave balms. This is a necessity, since not every skincare produce and shaving method will be suitable for every male. To each his own, especially when it comes to shaving, so take your time to experiment with every available option. Many men have very sensitive skin, leaving it vulnerable to skin irritation. It truly does not matter whether your skin type is sensitive, dry, or oily, it can benefit from a post shave balm or after-shave cream. Both of these skincare products are wonderful and will gently sooth irritated skin. If it is applied directly after shaving, it will also help reduce the risk of razor burn. If you decide to purchase a post shave balm, you will need to make sure that it contains vitamin E and B5. These vitamins will alleviate any skin discomfort and keep your face soft and supple throughout the day. If you spend a lot of time in the direct sunlight, you may want to consider utilizing a moisturizer with sunscreen. This will definitely help to combat ageing and skin cancer. All in all, shaving the neck will never be easy. However, it doesn’t always have to be such an enormous hassle either. With a little bit of patience and practice, you will eventually be able to master this activity. Just remember to utilize the tips provided above and you will be able to ease through the process more so than ever before. Do You Use Shaving Cream With Electric Razors?